InputPeople especially talented in the Input theme have a need to collect and archive. They may collect information, ideas, history, or even relationships. CommunicationPeople especially talented in the Communication theme generally find it easy to put their thoughts into words. They are good conversationalists and presenters. AchieverPeople especially talented in the Achiever theme have a great deal of stamina and work hard. They take great satisfaction from being busy and productive. ConnectednessPeople especially talented in the Connectedness theme have faith in the links between all things. They believe there are few coincidences and that almost every event has a reason. LearnerPeople especially talented in the Learner theme have a great desire to learn and want to continuously improve. In particular, the process of learning, rather than the outcome, excites them. Rachel joined Resource Consulting Group in August 2018 as administrative assistant to support CEO Mike Davis and President Johnnie James. Before joining RCG, Rachel was a professional educator. 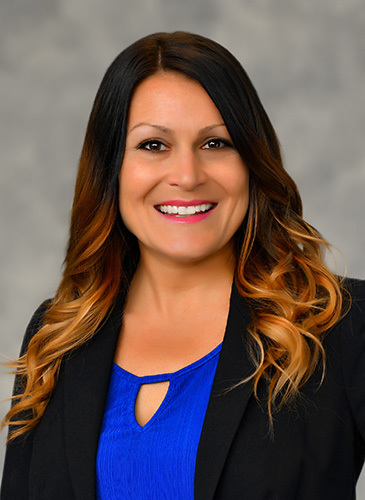 She earned a Master of Science in education from Nova Southeastern University after she received her bachelor’s degree in communication science from the University of Central Florida. As an extension of her instructional practice, Rachel had the special role of mentoring university students during their internships. Over the years, she has facilitated the transition of college students into colleagues by identifying and fostering the individual strengths of each. Through a constant stream of guidance, support, and encouragement, Rachel promoted the success of these developing professionals. Outside of work, Rachel likes to attend live music events, spend time outdoors, and entertain family and friends. I was blessed to grow up in a family in which serving others was a part of life. As a child, my parents often devoted our time to volunteer efforts in our neighborhood and the surrounding community. I have vivid memories of building the All Children’s Playground for disabled youth, collecting and donating supplies to our school, and pitching in to help our neighbors when they were in need. These early experiences shaped me into an adult who acknowledges and honors the connectedness within a community. As a mother, I strive to pass this value to my own children by creating opportunities for them to serve others. My hope is that through these acts, a heart for service will grow and thrive within each of them. I want them to experience that we live life to its fullest when we give to others. Over the last year, RCG has embraced the Five Essential Elements of Wellbeing. One of the key elements of wellbeing is Community and I’m grateful to work for an organization that believes, like I do, that service is not only important but a fundamental component to achieve our ideal life.